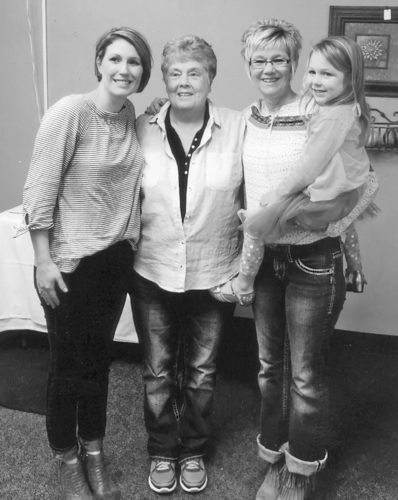 Four generations of Lankfords gathered recently. 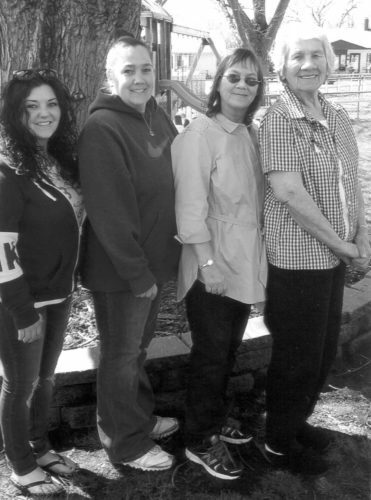 Pictured from the left:Haylie Emery; Bobbi Jo Potts-Harrison, mother; Sharon Lankford-Potts, grandmother; Donna Lankford, great-grandmother. 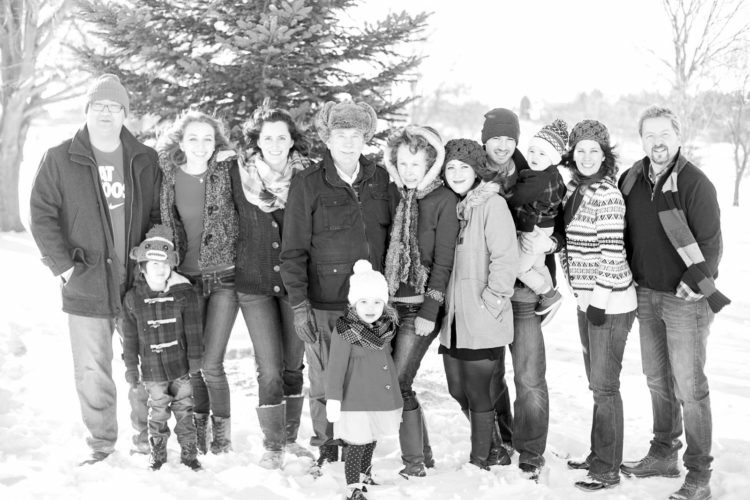 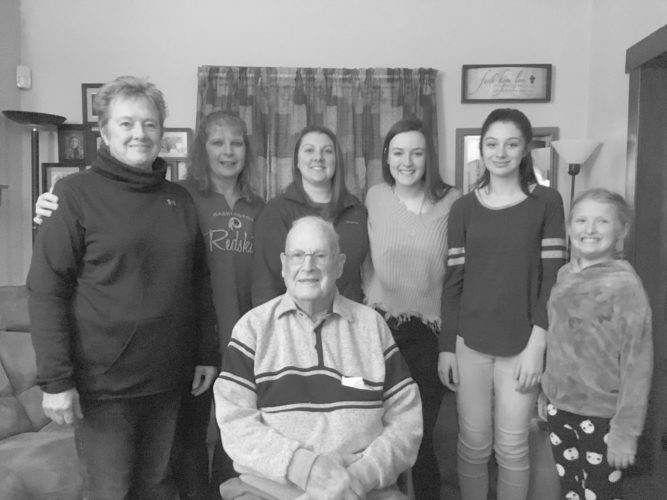 Five generations of the Rogers family recently gathered. 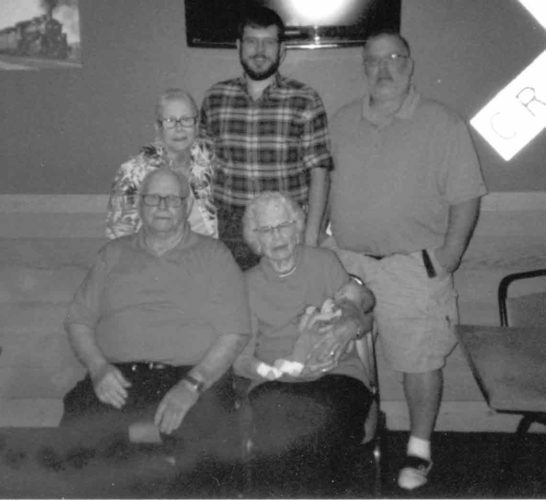 Pictured seated in the front is Ruth Rogers, great-great-grandmother. 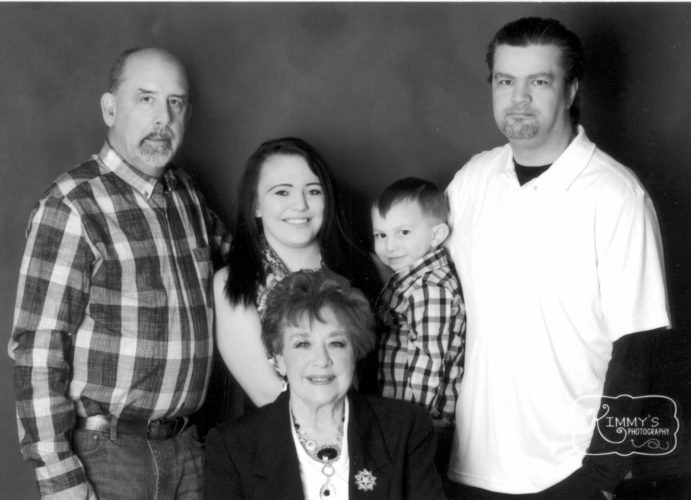 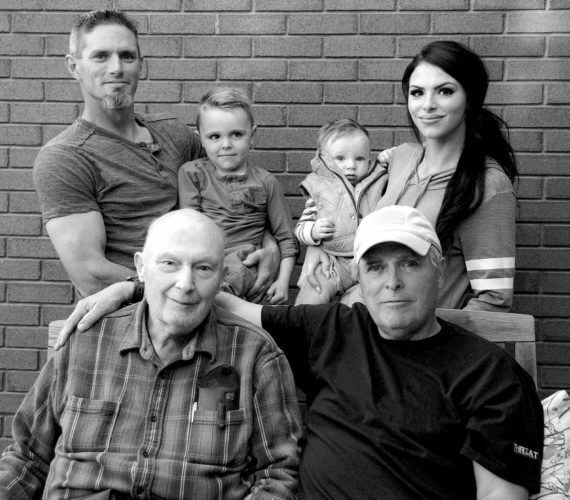 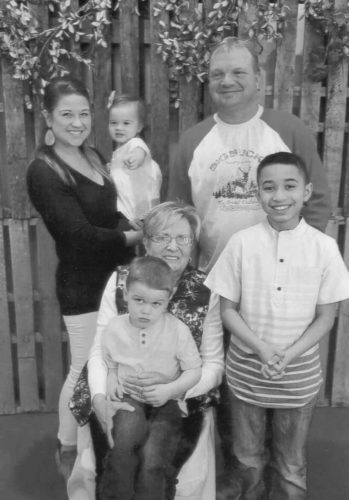 Standing from the left: M. Bruce Rogers Jr., great-grandfather; Justine Grove Rogers, mother; Kaden Dean Hart, son; and Jonathan Rogers, grandfather. 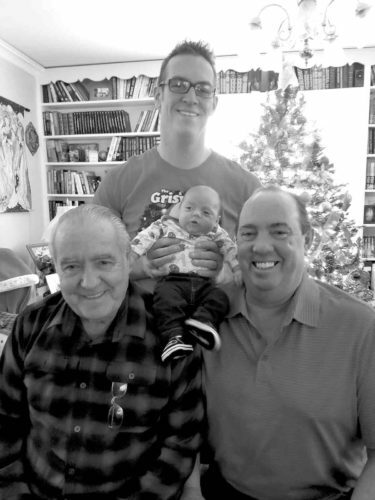 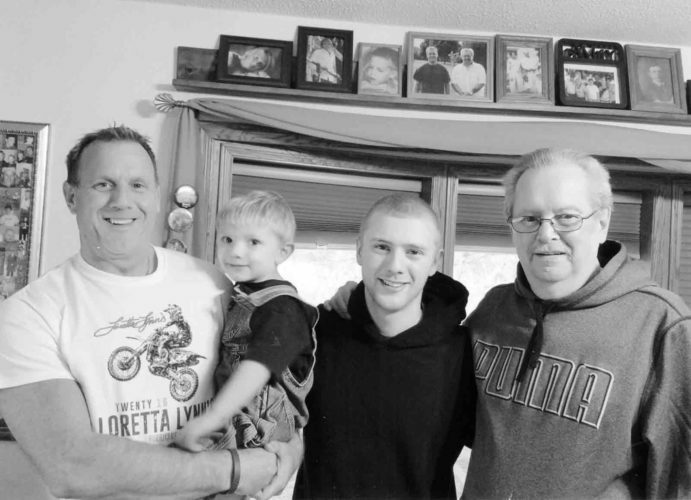 Four generations of the Lewis family recently gathered. 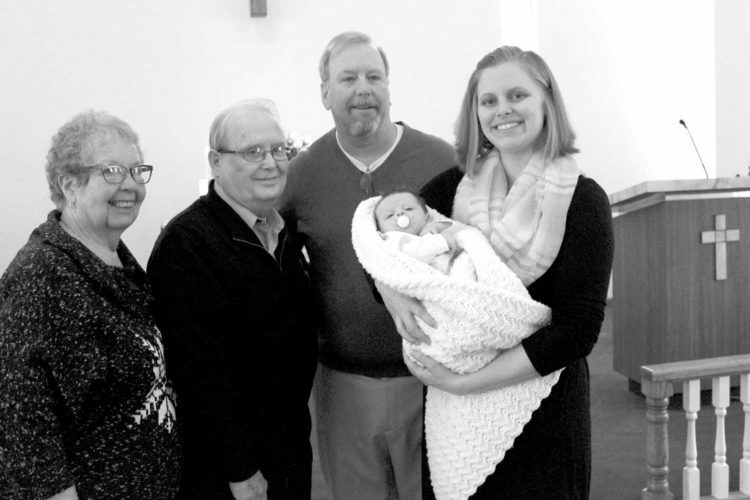 Pictured from the left: Mary Lewis, great-grandmother; Jess Lewis, great-grandfather; William Lewis, grandfather; and mother Chelsey Anfinson holding Drew William Anfinson. 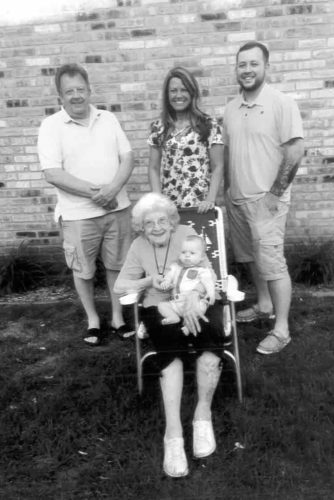 Four generations of Keelers recently gathered. 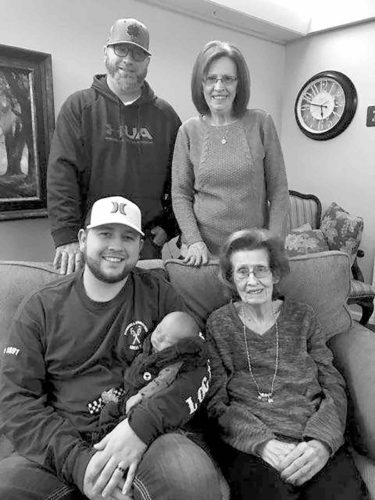 Pictured in the front row from the left: Bob Keeler, great-great-grandfather, Callie Keeler, great-great-grandmother, holding Jaxon Schultz. 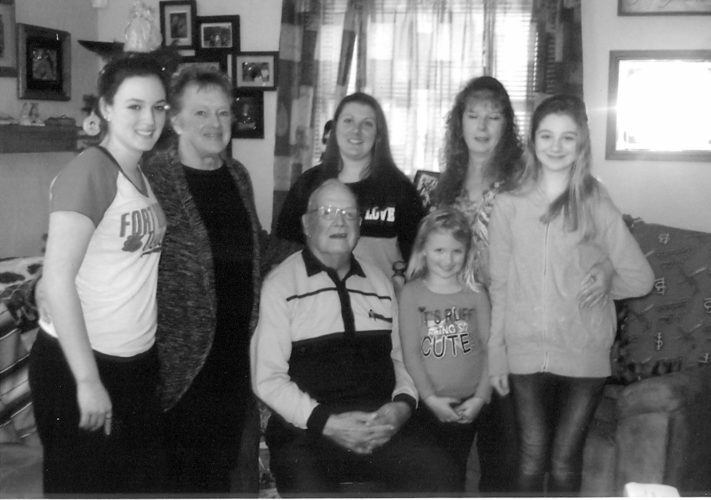 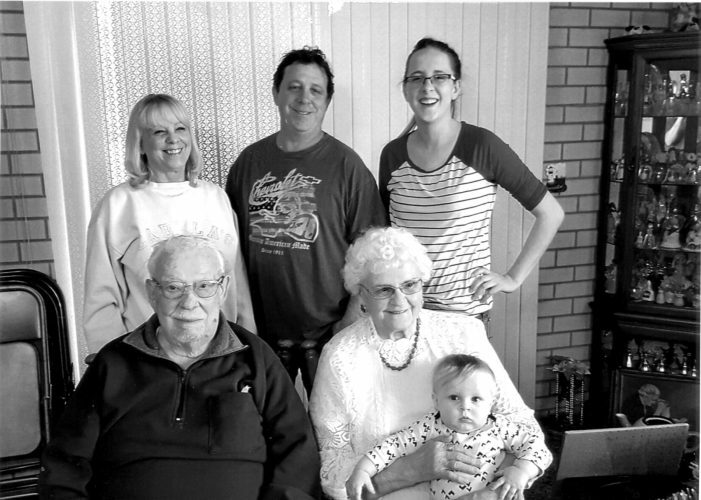 Back row: Sheila Juncker, great-grandmother, Brian Crotts, grandfather, Ashley Crotts, mother. 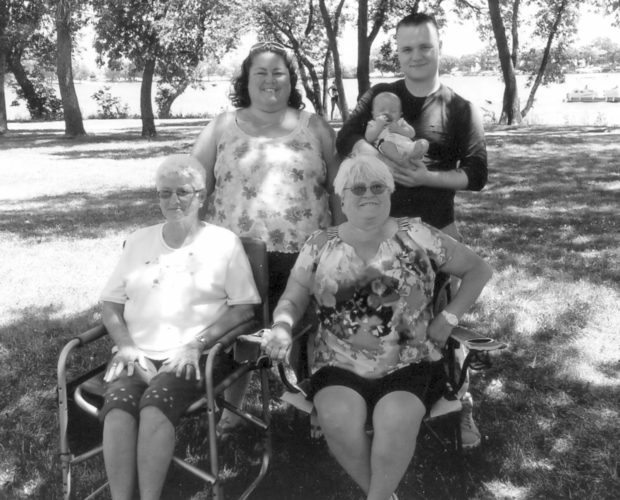 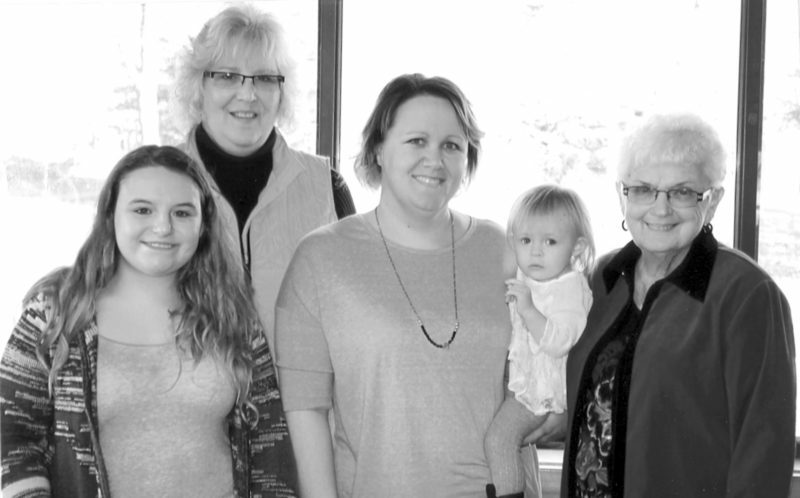 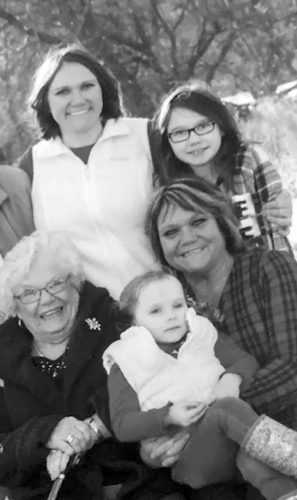 Pictured from the left: Desiree Dornbusch, mother; Terrie Deal, great-grandmother; Sara Dornbusch, grandmother; Brooklin Dornbusch; Colleen Deal, great-great-grandmother. 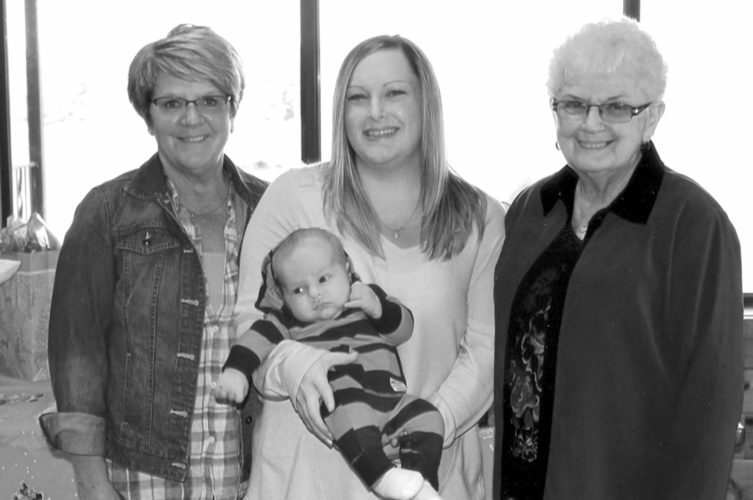 Pictured from the left: Sherry Moritz, grandmother; Bethany Wentink, mother, holding Boone Alan Wentink; Colleen Deal, great-grandmother.